Calling all Korean lovers out there! Gangnam Wings, a Korean Resto-Sports-Bar, opened last December 10 at the Mega Strip of SM Megamall Building A to let Filipinos savor what authentic Korean dishes really taste like. 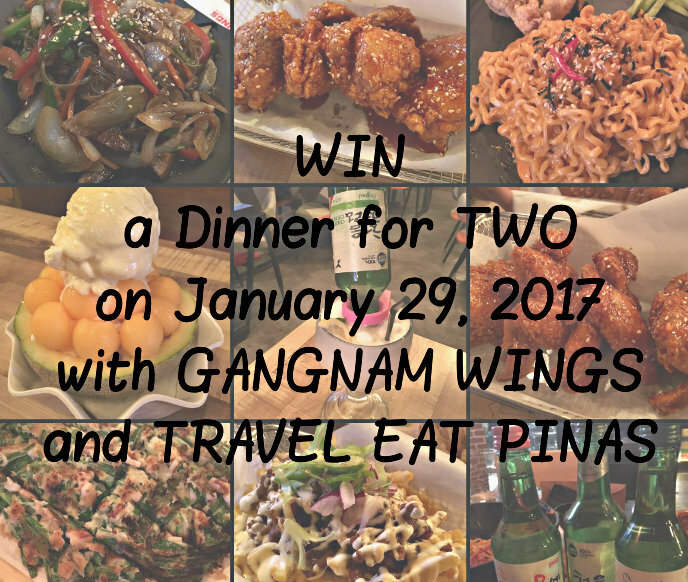 To kick off 2017, Gangnam Wings and Travel Eat Pinas will give a dinner for two this coming January 29, 2017, to one lucky winner. Gangnam Wings authentic and flavorful dishes. 1. 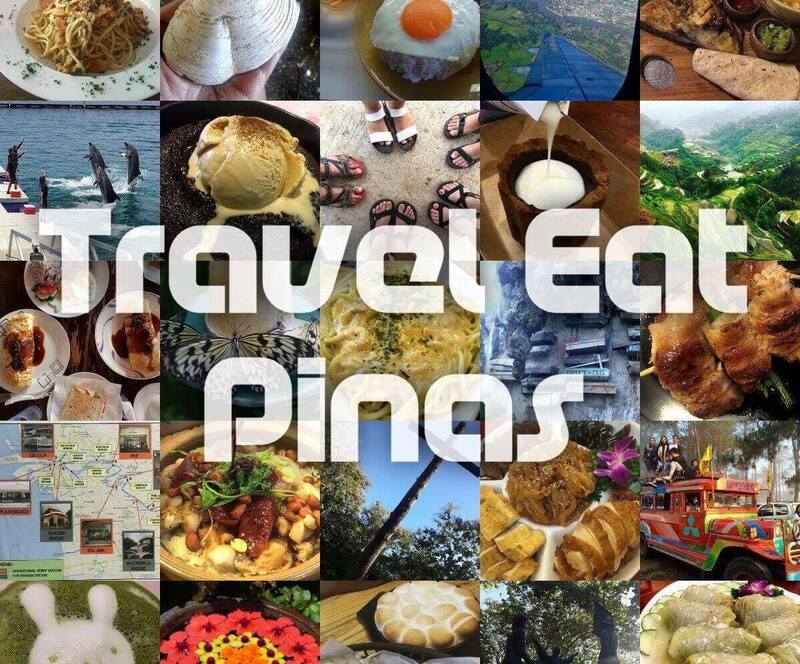 Like Gangnam Wings and Travel Eat Pinas' Facebook Page and Instagram account. 2. Share this post on your facebook account. 3. Caption the post with "I want to win a dinner for two at Gangnam Wings and try their _______"
5. Tag two of your friends. The lucky winner who will win a dinner for two on January 29, 2017, will be announced on January 26, 2017, on Travel Eat Pinas' facebook page. Gangnam Wings IG account isn't available. Thank you for joining RICA! Good luck! Thank you for joining Augusto! Good luck! I want to win a dinner for two at Gangnam Wings and try their Gangnam Chicken Wings because I've heard that it is flavorful! Second, The Bulgogi Fries because i'm a fan of bulgogi and loves to eat fries.. It's a perfect combination! <3 Being a Seafood lover i wanted to tried Seafood Pancake.. Last, Japchae noodle is perfect for me because i'm not much into spicy food. Thank you for joining Jeda! CONGRATULATIONS MS. APRIL AMAN FOR WINING OUR MEAL FOR TWO AT GANGNAM WINGS ON JANUARY 29,2017!!! !